Posted on February 1, 2017 by admin Posted in Herbal Teas	. If you are a beverage enthusiast, you might have found yourself asking this question- what is gynostemma tea? Thank God you found this article because the answer is right here! 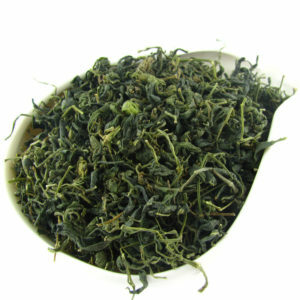 As the name suggests, gynostemma tea is prepared from gynostemma which is a green leafy herb that thrives in southern China. The plant is also known as jiaogulan & resembles ginseng and the beverage has been dubbed “immortality tea” because of its ability to provide for healthy long lives. The tea has a slightly sweet taste & a green tea-like flavor and provides strong rejuvenating effects & a myriad of health benefits. On how to prepare the tea, you need to dry and heat-process the gynostemma leaves then place them in a cup and add hot water. The next step is to stir the content for 15 minutes and filter out the solids to get a green-brown liquid. Like other teas, gynostemma causes anti-fatigue and neuroprotective effects on your body. The non-caffeinated beverage energizes and stimulates your body, killing stress and giving you great relaxation. The invigorating drink also activates biological processes, calms nervous system and improves mental concentration. Gynostemma tea is well packed with gypenosides which are triterpenoid saponins studied to help with conditions such as blood pressure, jet lag, hypertension and altitude sickness. These chemical compounds are also studied to boost immune system and improve stamina & endurance. The adoptogen is also an antioxidant & anti-inflammatory agent and can trigger immunomodulating & antitumor activities. Its gypenosides & polysaccharides cause antioxidant effects that prevent oxidative stress, fight free radicals and inhibit chronic inflammation. The tea triggers the immunomodulating & antitumor activities with its high triterpenoid saponin content and polysaccharides. It also protects against stress factors which are some of the major factors that lower immune functions. Gynostemma tea is in addition beneficial when it comes to weight loss, lipid metabolism and diabetes. According to reliable studies, the beverage can be used to treat elevated cholesterol, fatty liver, hyperlipiderma, type 2 diabetes and obesity. It boosts lipid metabolism, decreasing low density lipoprotein and cholesterol levels. When it comes to weight loss, the tea increases fat metabolism, reducing body fat and causing weight reduction. The beverage helps with type 2 diabetes by boosting the secretion of insulin and encouraging healthy blood sugar levels. Moreover, the beverage can improve cardiovascular functions. When combined with other substances, the tea can increase cardiac output, coronary flow, heart stroke volume and decrease heart rate while keeping arterial pressure at a safer level. Posted on December 2, 2016 by admin Posted in Herbal Teas	. What is Jiaogulan or Gynostemma Pentaphyllum, which is the scientific name and how is it associated with longevity? This is a question many people have been asking recently. Known as a herbaceous plant, which means it has stems and leaves that die at the end of the season, it is a member of the cucumber family. The natural growing location for this herb is China, Japan, India, and Thailand. What is the Jiaogulan Plant? It will grow in the U.S. where it can be annual if the conditions are right. The temperatures must be mild, and the soil in which it is grown must be a very well draining soil. It also requires full sun. This herb was only a local herb until quite recently. It was mainly used in southern China, where the people called it an ‘immortality herb.’ It was used in the Guizhou Province where people make a tea with the plant. The immortality associated with this herb comes from the fact that the people of this area live to be quite old. The earliest written documentation of this herb is in a book from 1848. The Ahi Wu Ming Shi Tu Kao Chang Bian book was written by Wu Qi-Jun and has a few references to the use of jiaogulan as a medicinal herb. As food, it was mentioned in a book from 1406 by Zu Xio called Materia medica for Famine. What are the Benefits of Gynostemma Tea? Posted on December 1, 2016 by admin Posted in Herbal Teas	. Gynostemma also referred as Jiaogulan is simply a diverse plant which is native not only in China but also in other Asian countries. Basically, this herb is believed to carry along so many benefits if properly used. However, it also carries along some few demerits if not used properly. For this reason, before making use of this herb, kindly consult your doctor first so that you can be guided appropriately how to use it or be advised if you’re fit to use it. This write- up will give you some of the benefits you are likely to experience by consuming gynostemma tea. Gynostemma tea is believed to have a balancing effect in a person’s nervous system. 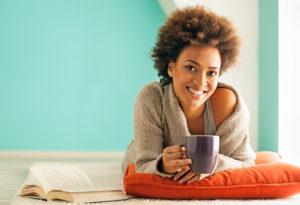 Generally, hyper or overstimulated nervous systems can be calmed easily while depressed nervous systems can be invigorated, thank to the positive effects of gynostemma tea. The herb has got the ability of increasing the endurance, strength as well as the reaction time of a person’s body. This therefore makes the herb to be considered ideal to be consumed by athletes. Be aware that this herb can also increase your ability of handling stress if you’ll input it in your diet. Studies have proved that the herb can hassle free increase the production of SOD i.e. Superoxide Dismutase, an antioxidant which has got the ability of lengthening the lifespan of a person. The studies also proved that consuming 20 mg of gynostemma tea everyday for 30 days will return an individual’s Superoxide Dismutase count to levels of his/ her youth. This intake will also assist a person’s body decrease effectively the levels of hydrogen peroxide and superoxide radicals which are toxics and can easily harm an individual’s body. Gynostemma tea can also enhance the ability of the muscles and liver to convert glucose into energy instead of fat. Generally, this will lower the level of cholesterol since it will increase LDLs and decrease HDLs in the bloodstream. The herb prevents also platelets from easily aggregating into a person’s blood stream; a process that can easily make a person experience high cholesterol levels in his/ her body. The herb regulates blood pressure by decreasing blood pressure when it’s too high as well as increasing it when it’s too low. Last, but not least, these are a few of the many benefits that gynostemma tea carries along. Make sure that you regularly consume this herb if you want to experience the afore- mentioned benefits of gynostemma tea.